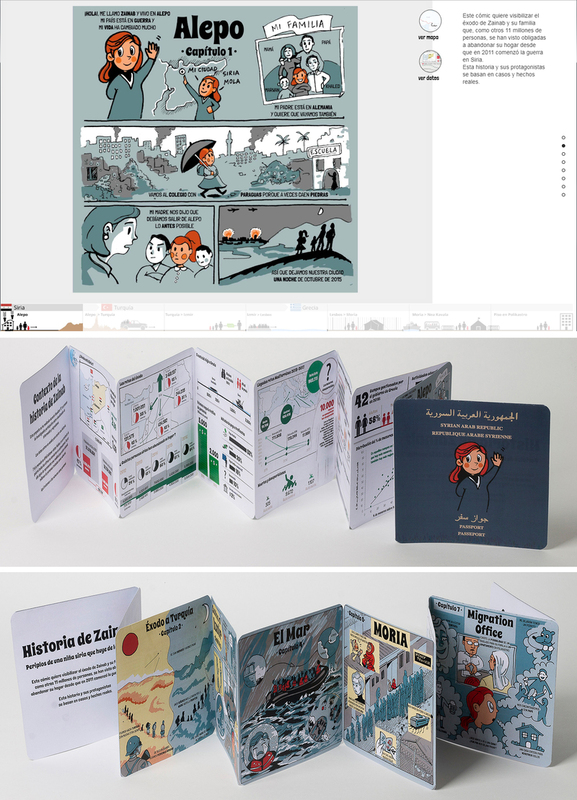 These prizes were established to honor the students, prolific individuals, non-English outfits, and other notable people whose work received top votes in this year's Awards. 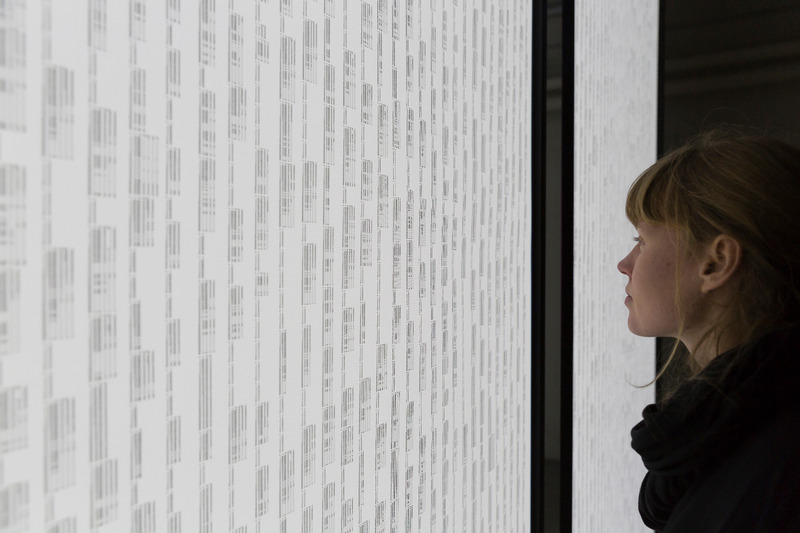 Marine data displayed as an immersive installation - like taking a dip in the ocean. 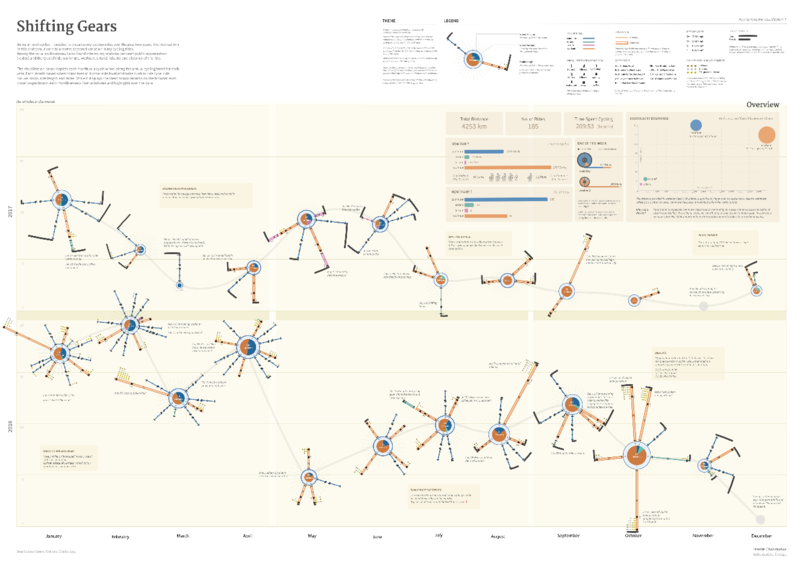 Visualizing the life of one individual, through his daily cycle rides. 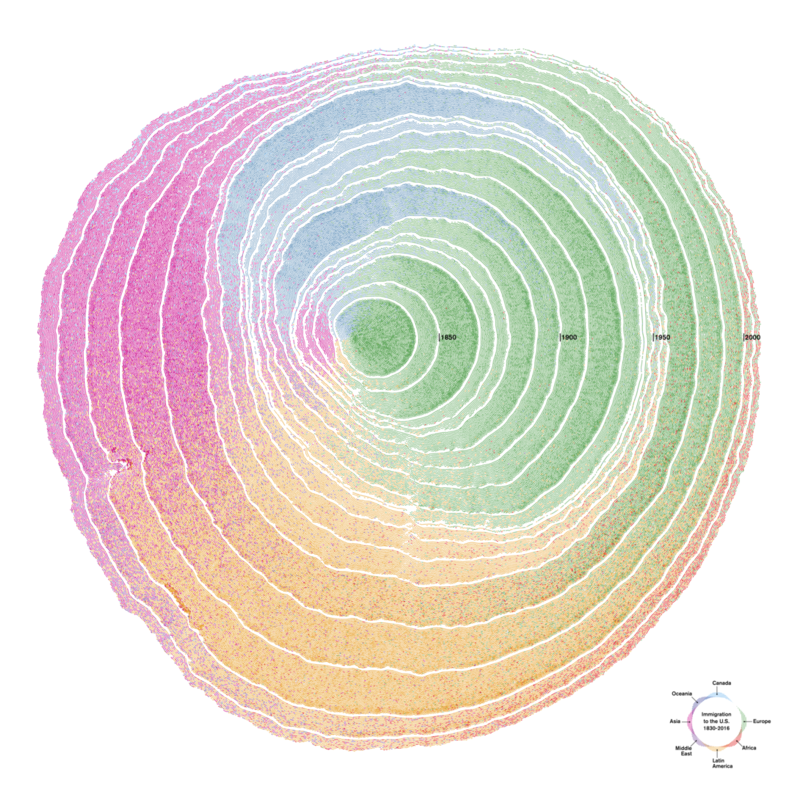 Each era of U.S. immigration imagined as a ring in a growing tree trunk. 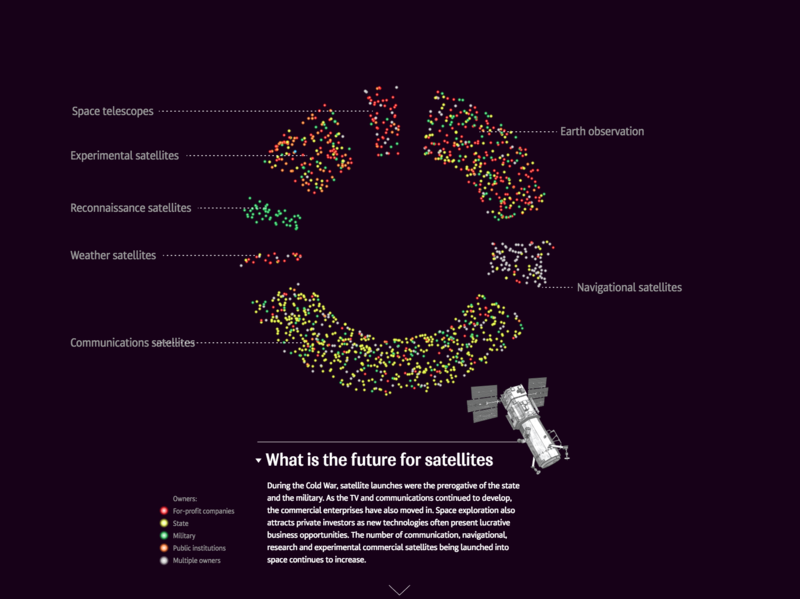 Commemorating 60 years of space exploration with an interactive 3D map of every artificial satellite of our planet. 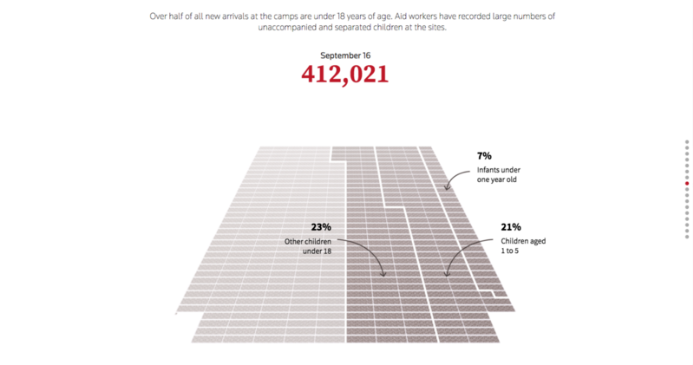 This comic shows the exodus of Zainab and her family who, like another 11 million people, have been forced to leave their home since the war in Syria began. 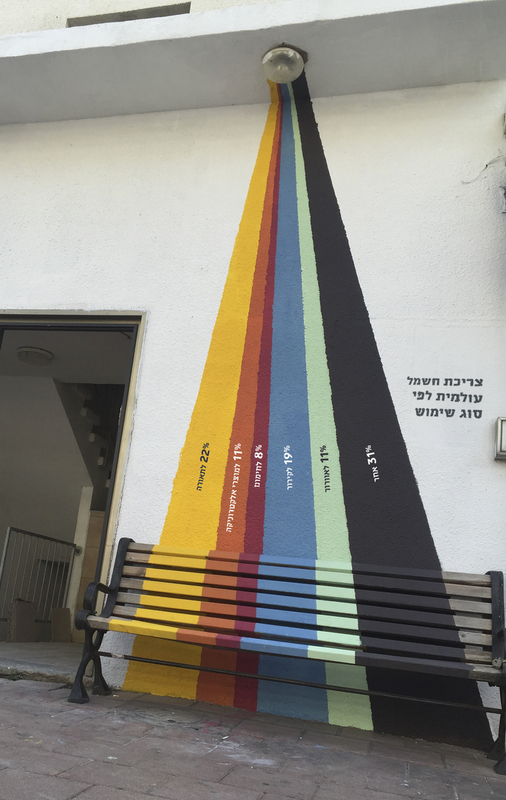 Tel Aviv's business district transformed into a tangible, sculptural dataviz, using coloured tiles, stairs and other physical city elements.